Today we are here with a new trick to let you know how to watch PSL 2018 free. This is the 3rd event of Pakistan Super League 2018 and has just started on today, 22nd February 2018. Many of the users who have been into watching the PSL matches while streaming on CricketGateway site previously are now in shock after a whole new subscription charges imposed by the site. Cricket fans from Pakistan used to watch PSL HD for free on this site. But now a fee of $9.99 has been setup for the whole season. So many of you might have googled for free PSL 2018 streaming sources, but you must have difficulties with low res picture quality streams on YouTube. Absolutely trash quality on Facebook PSL Streaming channels. While some regular sports event streaming sites are loaded with tons of popping up ads. So the question here is how to get the quality HD streaming of PSL 2018 matches, avoiding all those ads or premium account subscriptions. The answer is swift streamz. If you have never heard the name, then you might have missed on of the best free live tv streaming app on your Android, iOS or Laptop, desktop computers. It has some of the best premium sports channels to offer. Including PTV Sports, Geo Sports, Willow TV HD and official PSL 2018 Streaming Channel. Beside this the app have over 500+ top quality premium channels from UK, USA, France, Spain, India and many other countries. To download the app on your smartphone or PC head on to this step by step guide. 1- Download Swift Streamz for Android or PC using this guide. [ Swift Stream for PC]. For Android smartphones, Download the Swift Streamz Apk here. 2- Once done simply install it on your device. 3- Go ahead and click on the sports channels option available in the given list of countries. 4- You can see 4 sports channels that are currently broadcasting the PSL 2018 matches. 5- Select any one of them, i.e PSL 2018 Special Channel (Available only while live broadcast). PTV Sports, Ten Cricket (Pakistan), Ten Sports (Pakistan) and Willow Cricket HD. 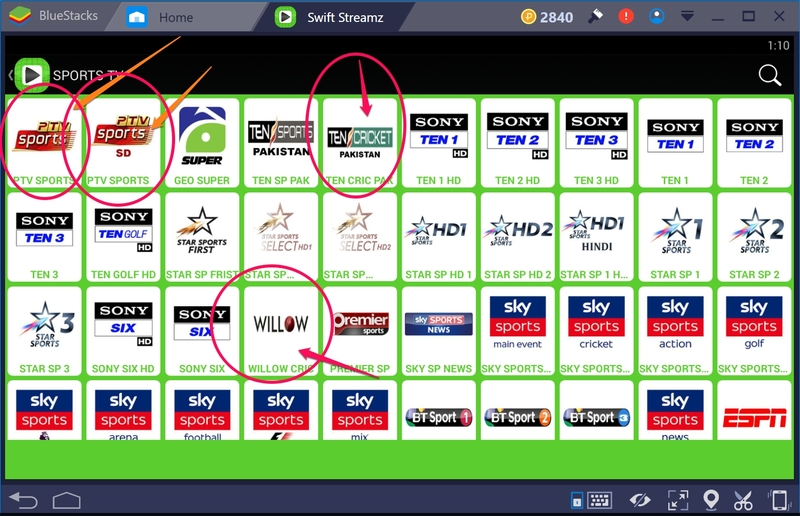 6- We recommend to go for Willow Cricket HD and start streaming your favorite PSL matches. That’s it. 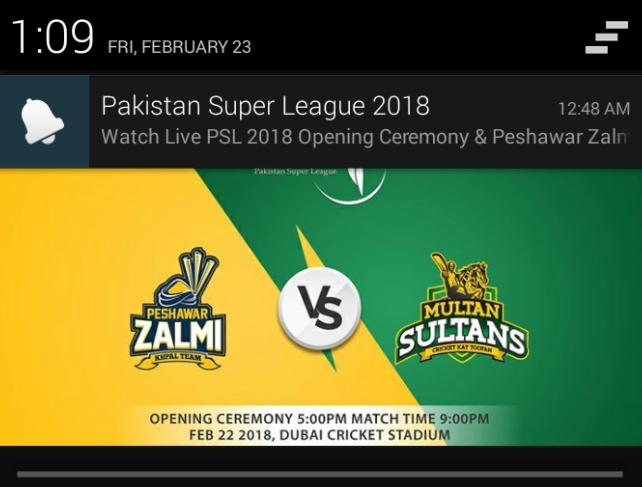 Now you have the best available Free PSL 2018 HD Streaming app on your Mobile, Laptop or Desktop computer. Cheers.